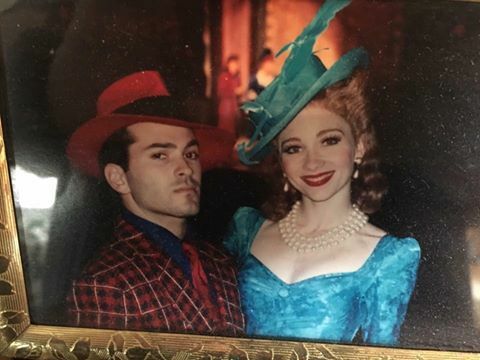 This evening I traveled to NYC to visit with old friends from the National Tour of Guys and Dolls (1992-1994) that originated in Hartford, Ct. in September of 1992 after 6 weeks of rehearsal in NYC and Ct. Some of us had the pleasure of working many times together prior to and afterward over the years that followed and some only once but this show and this cast left indelible impressions upon all of our lives. This was a unique group of individuals with remarkable talent and a tremendous work ethic – the show was incredibly challenging and demanded a remarkable effort from each of us, every day. Because of that, we forged lasting relationships that started during the rehearsal process. Each day we were tested and often pushed beyond the breaking point by Choreographer Christopher Chadman and his assistant Linda Haberman. They had exacting standards and held us accountable for every single count of music. They would not settle for anything less than perfect and we did not back down from the challenge. I can remember literally rolling out of bed and crawling to the bathroom many mornings prior to rehearsal because my body was wracked with pain and muscle soreness. It was such an incredible feeling to push your body and your ability to those limits every day. It made you feel invincible. Tonight, as each person made their grand entrances, what struck me most, was the ease with which we slid immediately back into familiar roles upon seeing each other. The comfort and trust we have with each other all these years later – some of us having not seen each other in the interim for as many as 10 years or more. But the love and the respect remains and has been magnified over the years- the need to connect viscerally and immediately upon seeing one another – the hugs, the back rubs and the joy in seeing each person enter the room – one entrance after another was simply magical. As Michael Paternostro said tonight “this was a happy cast” and I think more than anything we realized this was before electronic devices and smartphones became a reality – we spent as much as 2 years together every day talking to each other, sharing our lives and our stories and listening to each other. We shared our ups and downs, our family histories, our triumphs, and our sadness, through it all we connected – honestly and fully. We know each other. The parallel I can offer our students is the understanding that dance does that- it demands so much from you as an individual: technique, creativity, discipline, trust, and decision-making. When you are asked to push yourself beyond your limits it can be scary and frightening – having your friends and classmates there to lean on and offer support all the while building trust is something that changes you. Those relationships you create will last your entire life. Working towards something with your friends – dancing onstage together every day – the confidence and the sheer joy you gain and experience makes all the hard work, sweat, tears and frustration worth it. There is truly no way to explain it to those who have not experienced it – but if you’ve had the pleasure of dancing next to your friends and sharing the commonality of working together to make something special from thin air – it changes you. 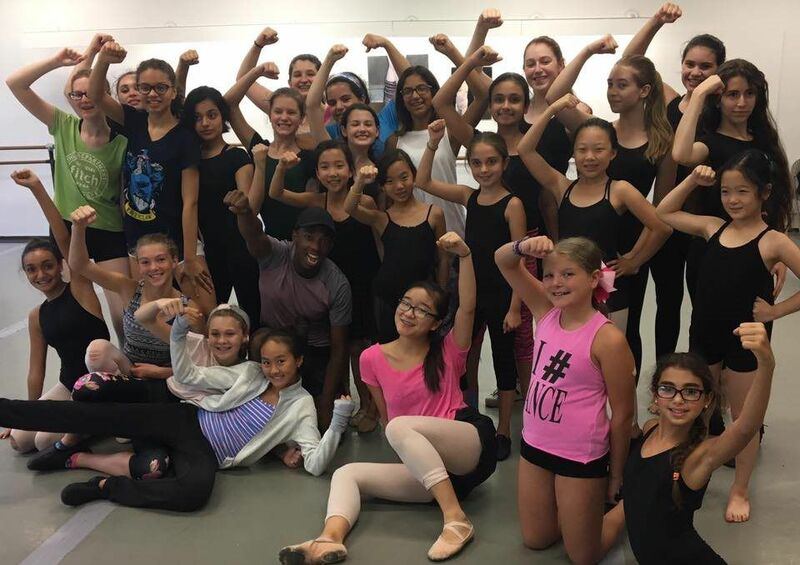 I hope we create an environment at the American Theater Dance Workshop that mimics the experiences we have shared throughout our careers and gives an opportunity to our young dancers to find the lifelong friendships that we benefit from in ours. It is a guiding principle for both of us and our staff.